Cyanogen has started rolling out the 12.1.1 update for the OnePlus One, which includes the Microsoft Cortana app built-in. Now, as with Google Now, users will be able to say "Hey Cortana" and make use of the voice search features for their web searches as well as set alarms, set quiet mode, and change settings such as data or airplane mode, thanks to the deep integration of the feature into the OS. 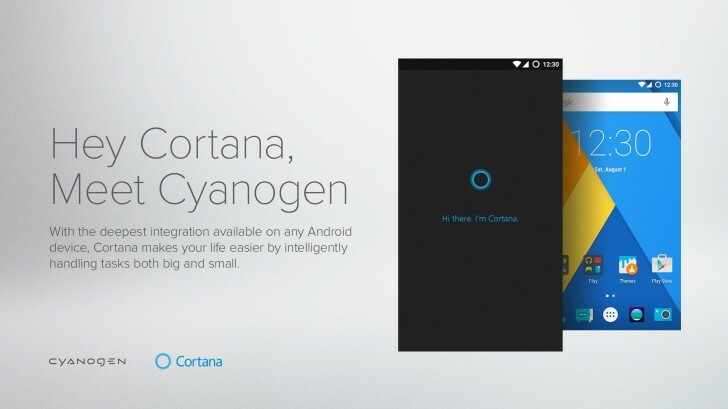 The Cortana feature is currently only available to those in the US. The app can be uninstalled if not required after updating. Yes it is not working in india so don't west phone memory.